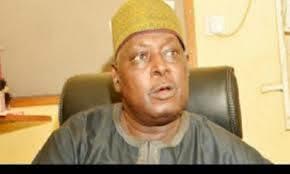 By Sadiq Umar – The Federal Capital Territory (FCT) High Court Tuesday ordered that the former Secretary to the Government of the Federation, Babachir Lawal, be remanded in the Economic and Financial Crimes Commission (EFCC) custody. Mr. Lawal was dragged before Justice Jude Okeke of the FCT High Court on charges of corruption by the anti-graft agency. The former SGF is accused of involvement in a contract fraud which has to do with the clearing of “invasive plant species” in Yobe State, through the Presidential Initiative on North East, PINE. Specifically, he was accused of spending N570 million to cut grass among other alleged suspicious payments involving him and his company. He was indicted for allegedly using his companies to get contracts worth millions of naira without executing the contracts. Also joined in the case against Lawal are Hamidu David Lawal; Sulaiman Abubakar; Apeh Monday and his company, Rholavision Engineering Limited. Josmon Technologies Limited was also joined in the case. When the charges were read to Mr. Lawal in the court, he however pleaded not guilty. It would be recalled that the Senate ad-hoc committee probing the humanitarian crisis in the North East indicted Mr. Lawal in 2016 for his alleged involvement in the contract. Justice Okeke on Tuesday gave the remand order following an appeal by Mr Lawal’s counsel to grant him bail.